Even with a commitment to diet and exercise, losing excess weight on your own can seem impossible. At Method Aesthetics & Wellness in Wexford, Pennsylvania, aesthetic specialist Katalin Reimann, LMA, offers effective, noninvasive help to slim your body and help you achieve the body you desire. Call the office to learn about UltraSlim® red light therapy for weight loss or book an appointment online. CryoSkin is a non-invasive fat loss and skin toning technology. It works by using sub-zero temperatures to destroy body fat. Clients usually lose over half an inch in the first 28 minutes. It is completely non-invasive and uses science that works with your body’s natural systems. That’s why your Cryoskin sessions will be every 2 weeks, to ensure your bodies lymphatic system has time to recover leaving you to look and feel amazing. What areas can CryoSkin treat? You see measurable results in treated areas after just one treatment. What should I expect during an CryoSkin session? CryoSkin involves no pills, drugs, or surgery. The treatment takes around 30 minutes and is painless. How effective is CryoSkin in helping reduce fat? CryoSkin is extremely effective in helping to reduce fat. Clients lose, on average, over ½” in the first 28 minutes. Are there any side effects from CryoSkin? CryoSkin treatments require no downtime or recovery period. You can enjoy a session and return to your regular activities right afterward. You can see results after just one session, but 3-6 sessions are recommended for maximum fat loss. 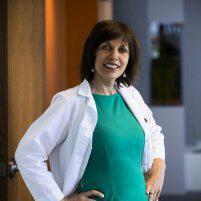 Katalin can work with you to determine a treatment plan to achieve your aesthetic goals. For more information about how CryoSkin can help you lose excess fat, call Method Aesthetics & Wellness or book an appointment online.